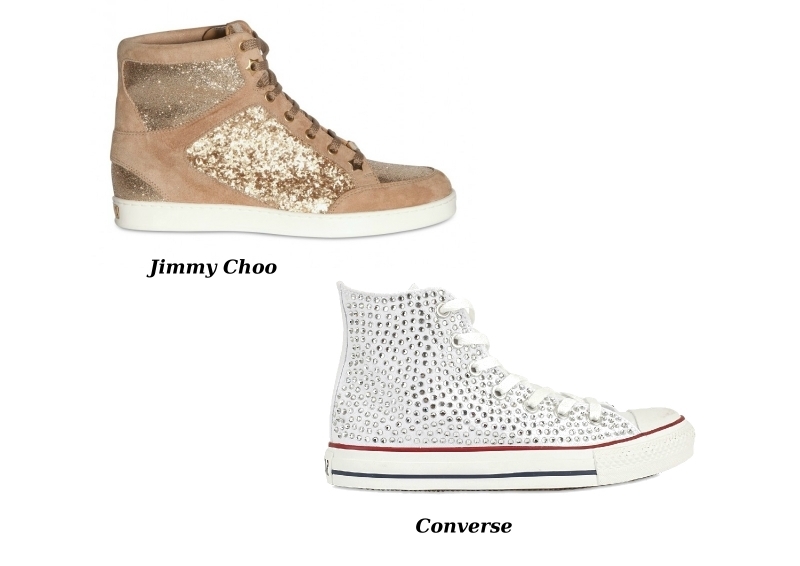 Stylish Luxe Sneakers for Spring 2012. 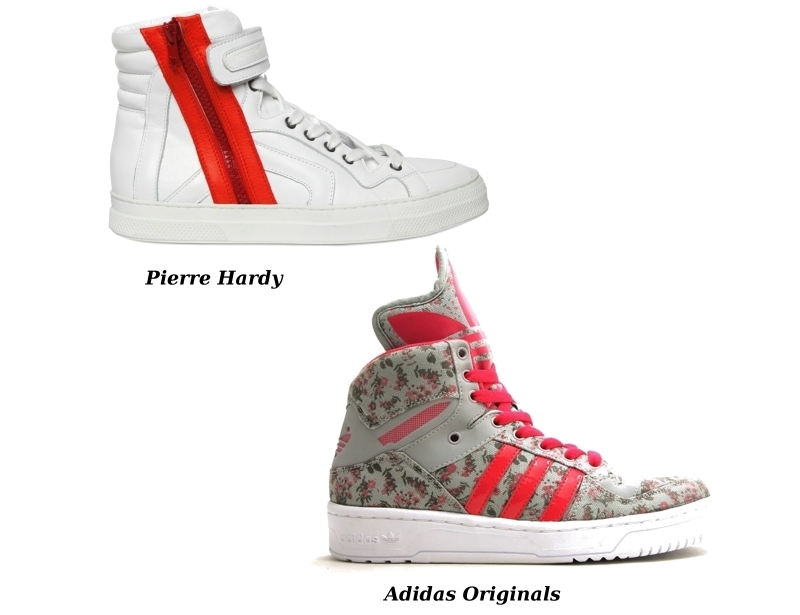 Skim through the stylish luxe sneakers for spring 2012 to polish your urban sportswear outfit to perfection. Go glam with these exquisite shoe styles offered by A-list designers and brands. 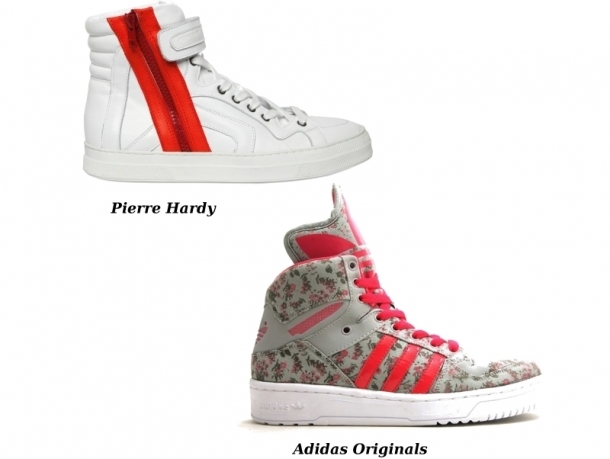 The classic sports shoes get a modern remix by the most famous couturiers of the world. 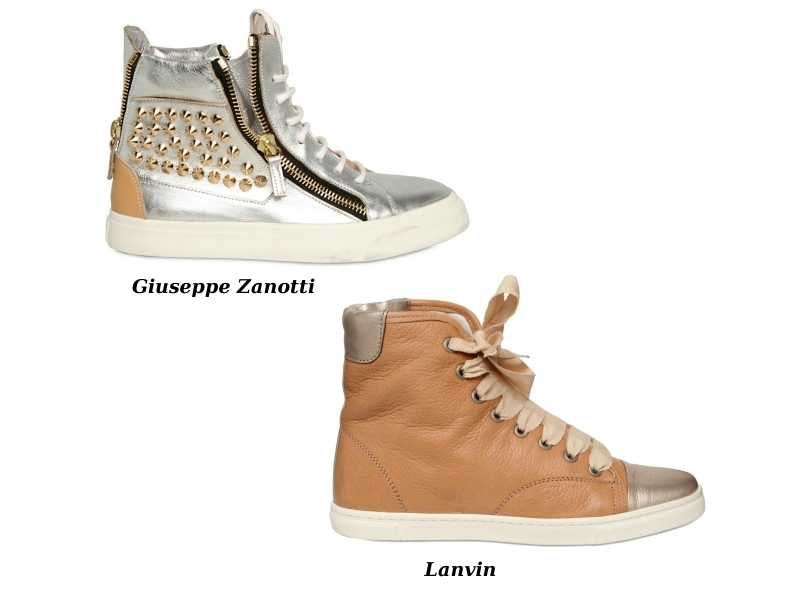 If you want to take your urban sportswear outfits to the next level, rock the stylish luxe sneakers for spring 2012. The hottest footwear models presented below illustrate how the different fashion waves can be easily fused to create an outstanding accessory which suits all age groups. Giuseppe Zanotti is one of the pioneers of arming up chic high-top sneakers with animal prints, studs and other sight-pampering elements. 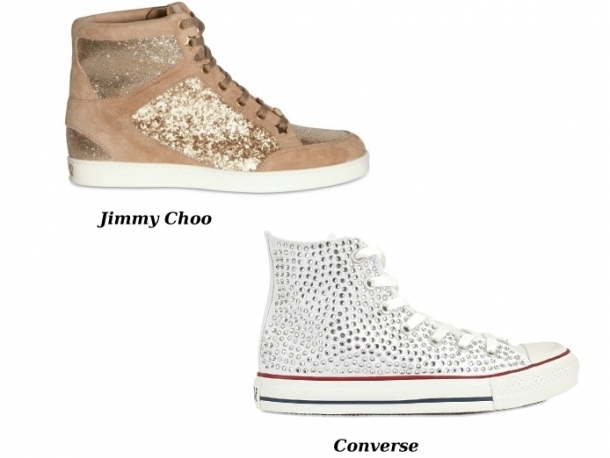 However, it seems that other fashion houses were also contaminated by the luxe sneakers trend. We must mention brands like: Lanvin, Jimmy Choo and Mason Martin Margiela who decided to complete their shoe repertoire with too-hot-to-handle and glamorous sneakers. Those who move confidently in the world of sneakers and sporty accessories know that Converse and Adidas are some of the iconic names in the industry who release series of gorgeous sneakers designs everyone worships. Besides the use of studs, beads and glitters, designers also turned to the metallic color palette to make a smashing visual impression with their shoe designs. 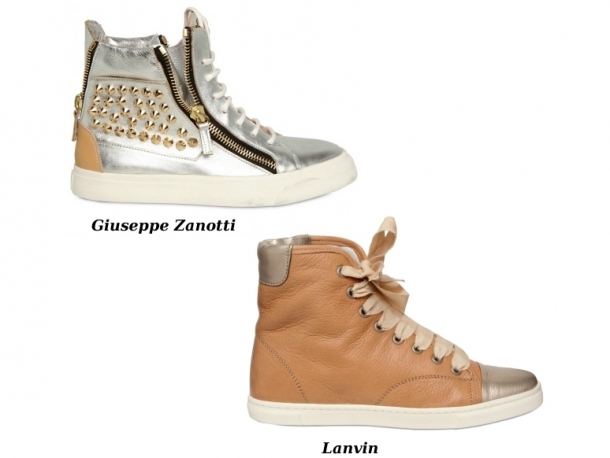 Stand out from the rest of the mass with a golden or silver colored sneaker model which attracts immediate attention. These accessories are definitely not for those who want to melt into the crowd. Strip off all your accessorizing limitations and crown your dapper outfits with these luxe sneakers. The success is guaranteed if you have the right attitude to make the most of your high street wardrobe.